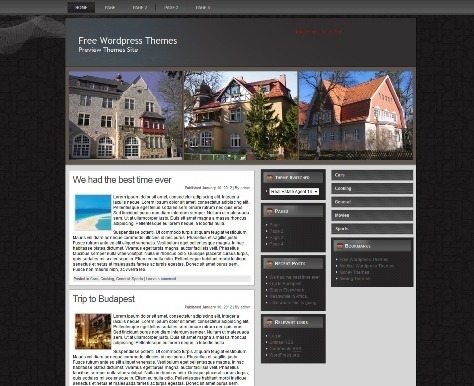 Best Collections of Free Real Estate WordPress Themes for your website. 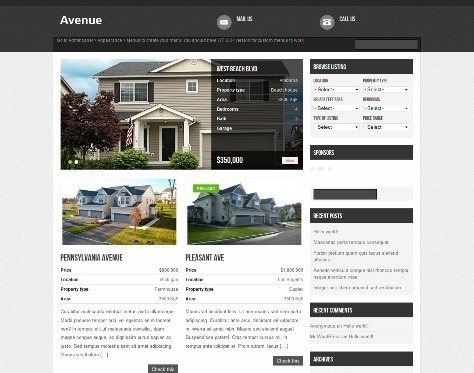 Avenue is a free real estate wordpress theme. The theme comes with custom post types, custom menus, widgetized sidebar, custom taxonomies, custom meta boxes, banner ads, featured thumbnails, theme options etc. 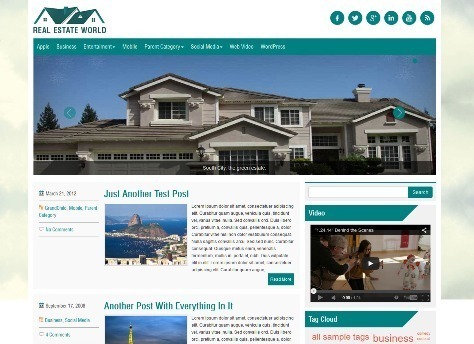 RealEstateWorld is a free 2 columns WordPress theme for real estate WordPress blogs and websites. Real Estate Agent – A free real estate wordpress theme. Features: options page, widget ready, rss ready, gravatar ready, xhtml & css valid, crossbrowser compatible, working with the last version of WordPress and more. RealEstate is a free responsive real estate wordpress theme with easy to use theme options page, featured image ready, responsive design, shortcodes, compatible with latest wordpress versions, widgets ready, custom widgets, SEO optimizedy and more. 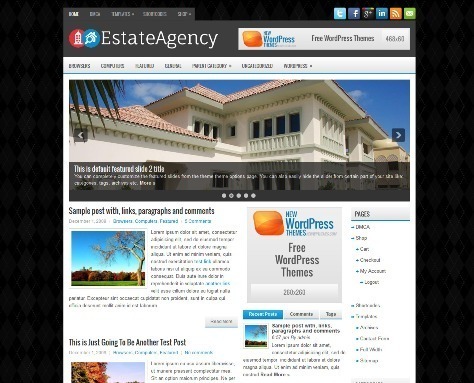 Real Estate Agent 11 – A free real estate wordpress theme. Features are options page, widget ready, rss ready, xhtml & css valid, crossbrowser compatible (working in all major browsers), working with the last version of WP and more. 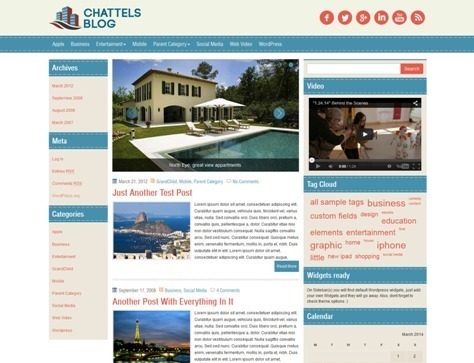 ChattelsBlog is a 3 columns WordPress theme with admin panel, right sidebar customized post, widgets ready, social icons, SEO optimised, ads ready, popular posts, featured posts and much more. 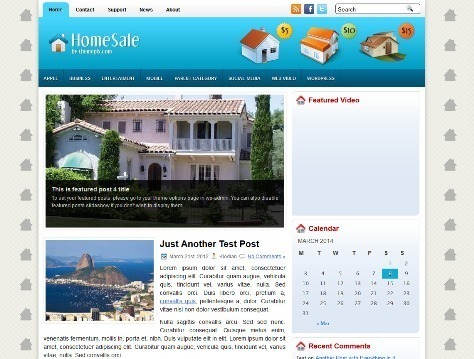 HomeSale is a 2 columns WordPress theme with option/admin panel, featured content, featured posts, Ads banners ready, post thumbnail image, logo .PSD included, social icons and more. 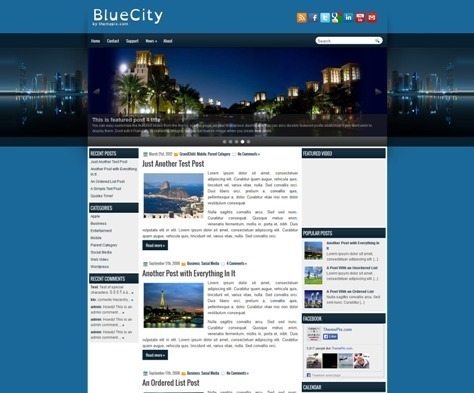 BlueCity is a free 3 columns WordPress theme with feature posts, post thumbnail image, widget ready, logo .PSD included, featured video, social icons, popular posts, SEO optimised, full width page, sitemap and more. 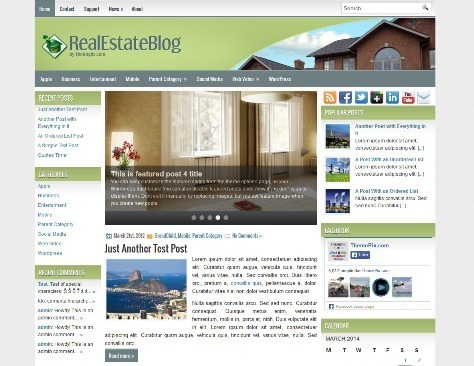 Real Estate Blog is a free WordPress theme for real estate sites with simple, 3 columns with left and right sidebars, its fixed width and fast loading theme. Features are Logo .PSD included, Admin Options V3 panel, Featured Slider, Social icons, Ads banners ready and more. 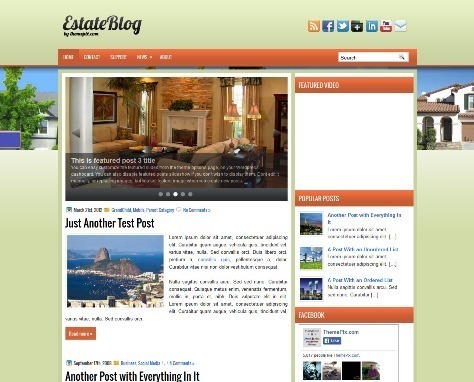 EstateBlog is a free 2 columns WordPress theme with Option/Admin Panel, featured posts and post thumbnail image, widgets ready, social icons, SEO optimised, ads ready, popular posts, featured posts and much more. 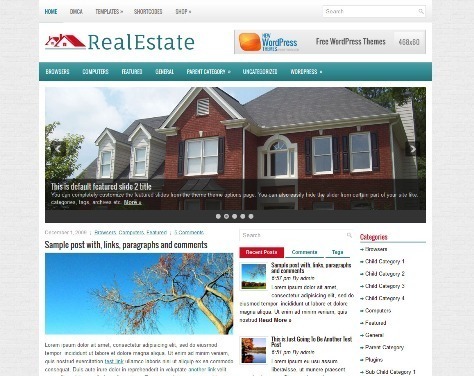 Re Estate is a free real estate wordpress themes with featured slider content, custom widgets, custom menus, google map, crossbrowser compatible (working in all major browsers), work with the latest version of WordPress 3.1 and above. 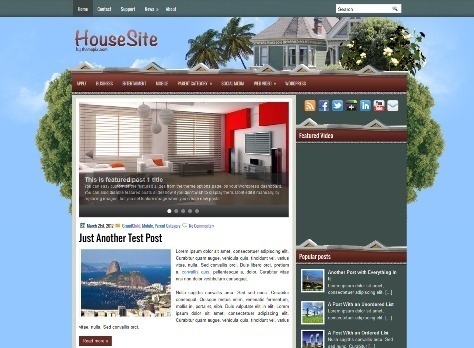 HouseSite is a free 2 columns WordPress theme with Option/Admin Panel, featured posts and post thumbnail image, widgets ready, social icons, SEO optimised, ads ready, Logo .PSD included, popular posts, featured posts and much more. EstateAgency is a clean and modern real estate free WordPress theme with Lots of custom widgets, Change your logo, favicon or featured images options easily from the easy to use administration panel. 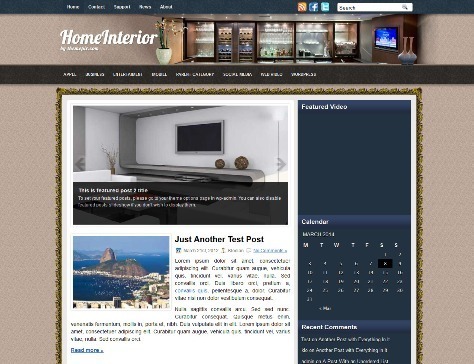 HomeInterior is a free 2 columns WordPress theme for real-estate blogs with Option/Admin Panel, featured posts and post thumbnail image, widgets ready, social icons, SEO optimised, ads ready, Logo .PSD included, popular posts, featured posts and much more. 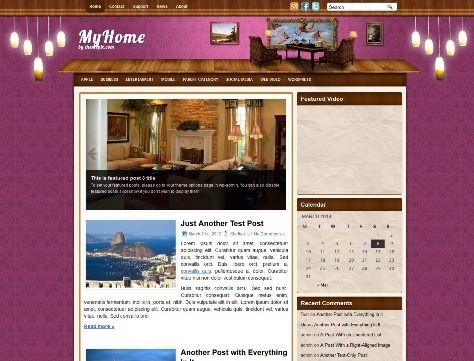 MyHome is a free 2 columns WordPress theme for real estate with Option/Admin Panel, featured posts and post thumbnail image. The theme features are compatibility, widgets ready, social icons, SEO optimised, ads ready, Logo .PSD included, popular posts, featured posts and much more. 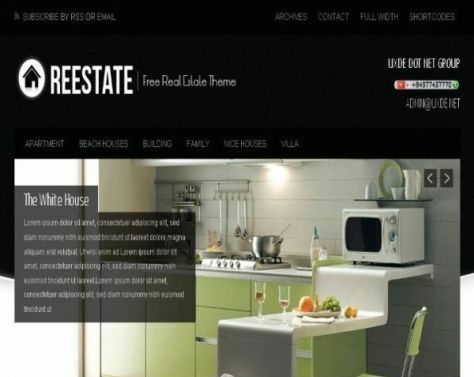 WpRealEstate is a free real estate wordpress themes with responsive design, shortcodes, compatible with latest wordpress versions, widgets ready, custom widgets, SEO optimizedy and more. 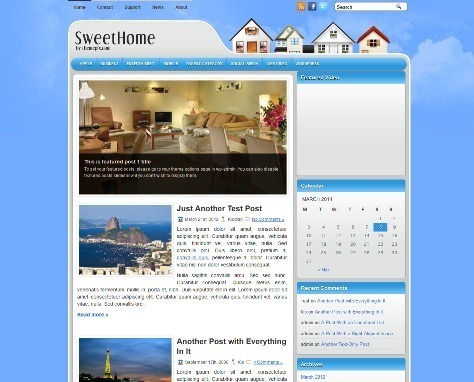 SweetHome is a free 2 columns WordPress theme with Option/Admin Panel, featured posts and post thumbnail image, widgets ready, social icons, SEO optimised, ads ready, Logo .PSD included, popular posts, featured posts and more.